Redwitz, Inc. has established a focused team of professionals who know what it takes to assist not-for-profit organizations in reaching their financial goals. Through our experience, we have gained a deep understanding of the unique needs and tax laws facing our clients in this industry. 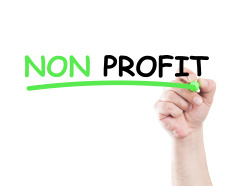 We know nonprofit organizations have a unique set of accounting, tax and financial needs, just as they have distinct missions to carry out in the community. Therefore, our team will always be responsive to your needs and concerns while providing you with the expertise and support you need to achieve your goals. At Redwitz, Inc. we look forward to offering your nonprofit organization the exceptional services you require.